If the same government admits there are about 1.8 million of her citizens in these public universities, then one can only imagine that serving this ‘small’ number well, especially with their education is ultimately a great service to the country. 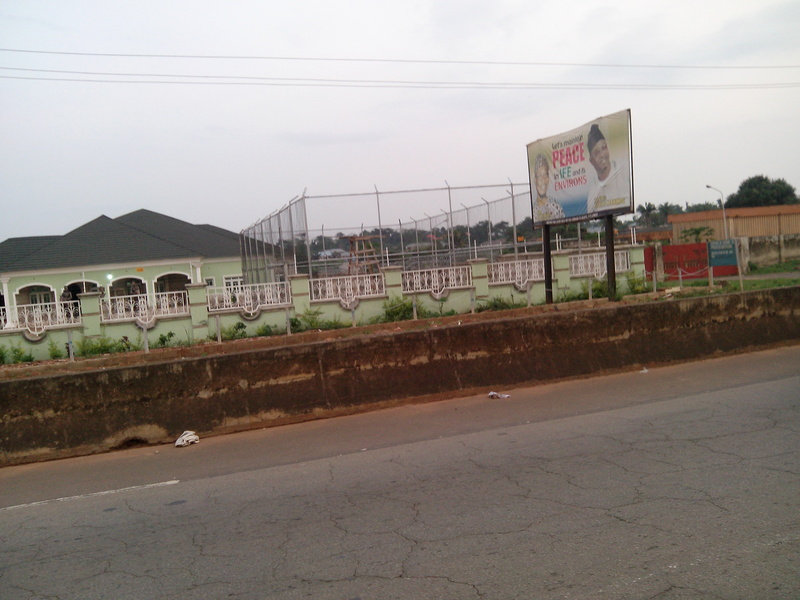 This is because the educated members of any community are the ones who will lift that community out of the gutters. However, that’s if they are properly trained (by that, I mean more practically trained to be result-oriented and not the theory-personified graduates that methinks the government is satisfied creating. Theory-personified graduates who, in the final analysis, do not know where is the right and where, the left). At least, such graduates will not know what their worth in their own country. They will not know that the natural resources of the country belong to everyone; hence, the revenues generated from same. They will care less about how these revenues are expended. Now, to the libel, blackmail and propaganda. Then, again it was that everything ASUU was asking was salary increase. I’m afraid since the commencement of this strike, salary increase has never been an issue but if the government wants it to be an issue, it must be because, some people in government has need for that extra increase. Of course, they sure know how to pocket such ‘things’ even before the supposed beneficiaries can blink an eye. 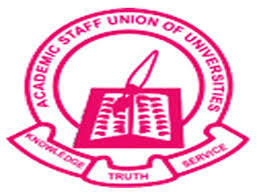 The most current one by our GOVERNMENT WITH HIGH REPUTATION to say the least is that the opposition has infiltrated the ranks of ASUU; and this, the ‘Government of the People’ claim is the reason why ASUU has “remained ‘rigid and unbending’ to suggestions on how to agree on some of the issues it was agitating for so as to end the strike which had entered its ninth week.” One can only wonder since when the government has become like the theory-oriented graduates who do not know the difference between negotiation and an already signed MoU. How thinking or unthinking can it be for ASUU (a body with probably the most Professors in Nigeria) to allow the infiltration of their ranks with opposition, and especially for the government to claim such a horrendous ‘stuff’? Does the government know what opposition means? Does the government know opposition might have infiltrated their ranks too? WHo will forget the last time the Presidency claimed Boko Haram has infiltrated the government? 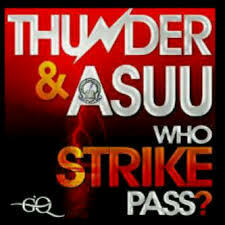 So, what does it matter now that they claim ‘human’ opposition has infiltrated ASUU? Does the government expect the opposition to be a ‘no-face’ entity, residing in the crevices of life that doesn’t really exist? lol. And then, this one. The government in a bid to sideline ASUU and buoy the spirit of the students into supporting them against ASUU (an obvious miscalculation, I suppose) has promised to offer monetary incentives somewhat to students. Of course, who doesn’t know that the reigning culture is ‘ghana-must-go’? That’s what happens everywhere, especially in government corners and they are only under some sort of pressure to extend the same to the people they are supposed to educate. That’s if the students are not better than the government in that wise. Anyway, the one knows it is probably the only language understood by the other. So, use it! 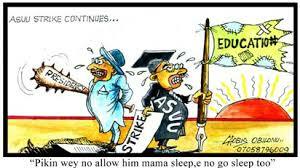 “As a way of making nonsense of the industrial action by ASUU, SaharaReporters gathered that the government plans to introduce loans to the students throughout their period in the university so as to cushion the effect of the financial hardship on the students. With the foregoing, the government expects the students to be jubilating because out of the TRILLIONS some members of the government have successfully stashed somewhere, they will give out TRINKETS to students, who hitherto could not afford it. Let me strike a note of warning, Nigeria is one of the very few countries, if not surprisingly the only one, that is always desperate to implement glimpsed foreign policies without having put in place necessary measures to ensure such policies are properly ‘annexed’ (nay, stolen). So, the much of the country that you and I know should suffice to tell us that this country, sorry, I mean the people we elect to lead us, at least for now, will not (at least, not in their sane or insane minds) go all out to do what they and us all know is good for the country. Where will that act leave them? 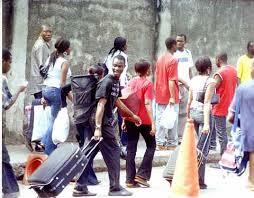 I mean, sharing as loan (is it N1,000, N5,000 or N100,000) to 1.8 million Nigerian students). Where will they get that from? I thought they said the country has no money. Hahahaha. Of course this must be one of the lie lie they peddle. But don’t say lAkUnLeScReWs said it’s a lie because they may just rush to bring back all the monies stashed in Switzerland and elsewhere and pay up. They’ll call it ‘saving face’.